It&apos;s a Disney reunion! 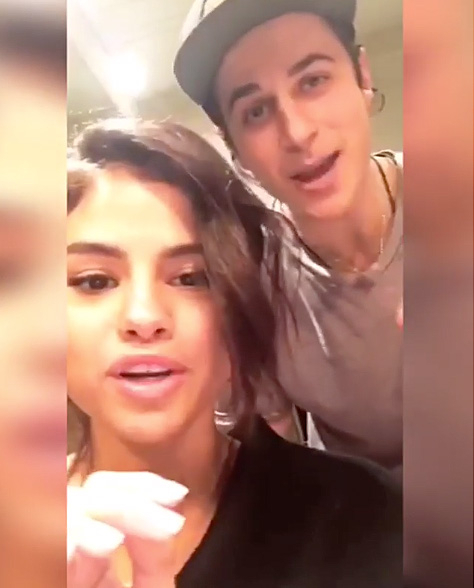 Selena Gomez reunited with her former Wizards of Waverly Place costar David Henrie in her first Instagram Story on Saturday, January 7. In honor of the five-year anniversary of the Disney Channel sitcom&apos;s 2012 series finale, the friends shared some hilarious anecdotes and mused about what their Wizards characters, siblings Alex and Justin, would be doing today. "David, I think we should do a reunion," Gomez, 24, joked as Henrie, 27, replied, "I think we should do a reunion where Justin is still running the college … and Justin has, like, 15 children." "But you have kids," the "Hands to Myself" singer interrupted. "Alex is for sure single." The How I Met Your Mother alum then quipped that costar Jake T. Austin&apos;s character, Max, is likely selling sandwiches on the street. Gomez added that although her character might be single, she&apos;s still "killing the game." Henrie also took to Instagram on Sunday, captioning a photo with Gomez: "We had the best time last night. We dreamed up what our wizards characters are doing present day lol, and talked about the fact that I started all of @selenagomez social media platforms." Wizards of Waverly Place aired from 2007 to 2012. The series won the Primetime Emmy Award for Outstanding Children&apos;s Program in 2009 and 2012, and the eponymous film adaptation took home the same award in 2010. Gomez has been busy recording the follow-up to her successful 2015 album, Revival, after a three-month stint in rehab, which she opened up about at the 2016 American Music Awards in November, saying, "I had to stop because I had everything and I was absolutely broken inside. … If you are broken, you do not have to stay broken."